The album is a sonic melting pot taking in Prog, Ambient, Synthpop & even a sprinkling of Dubstep, which is simultaneously timeless and modern. Sean Quinn states; "I was always interested in ambient music and was working on a solo album which includes a collaboration with Roedelius. I started thinking about other artists I admired involved in ambient music. My all-time favourite band is King Crimson (72-74 line-up) and I was particularly fascinated by David's contribution to the band - his melodic sense is incredible." Flautist Andrew Keeling is best known as a composer and King Crimson musicologist. 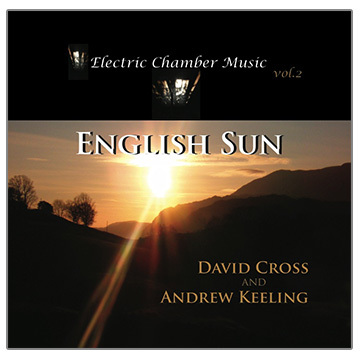 David Cross and Andrew have collaborated on a series of improvisations, which has evolved into this beautiful collection of electric violin and flute duets, English Sun. There is a common heritage at work here that goes far deeper than its clear classical and rock components. This is new music by anybody's standard and further defines the meaning of Electric Chamber Music. 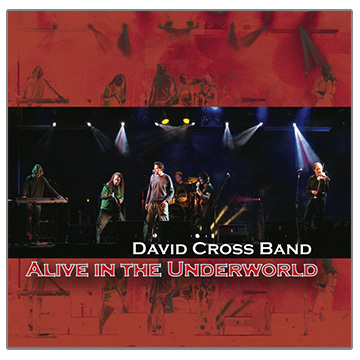 This incarnation of the David Cross Band initially came together for a trip to Japan in April 2005. In March 2006 the band played concerts at the Robin in Bilston, at the Stables in Milton Keynes and the Underworld in North London, where the nine live tracks on this album were recorded. 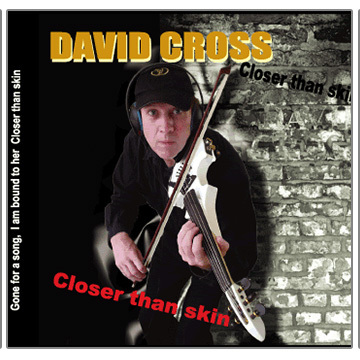 'Closer than skin' is the fifth David Cross band album in which the disparate elements from King Crimson and earlier David Cross albums are forged into a distinct new brand of rock song. 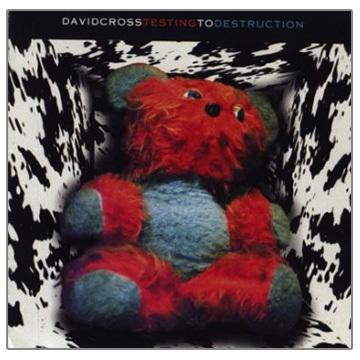 This 1994 album includes 3 tracks recorded live at Flöz Club in Berlin and features David Cross (violin), Paul Clark (guitar), Sheila Maloney (keyboards), John Dillon (vocals and bass) and Dan Maurer (drums). Note: Prices shown include postage and packaging for your chosen location. Sorry - Out of stock at the moment but we plan to have more stock soon!